Today there is a wide range of electric, sonic and ultrasound toothbrushes on the market. They are a good choice especially for those who are less motivated for quality maintenance of oral hygiene, for those who for some reason are difficult to wash teeth with a regular brush and for those who want to take advantage of the benefits offered by modern technology. Make sure to click for more. Regular cleansing of the mouth and teeth should be the preventive priority of each individual. The goal, of course, is to keep your teeth and gums healthy throughout your life. Sometimes people are no longer able to wash their teeth correctly and effectively due to illness or age. It is then recommended to use an electric, sonic or ultrasound toothbrush. Such brushes are becoming more and more popular with people with a fast pace of life, a lover of advanced technology, and those who do not want to think too much about washing their teeth. There are many different models of electric toothbrushes on the market. They differ in size, number and quality of fiber, the principle of operation, speed of movement and performance. They are basically divided into electric, sonic and ultrasonic brushes. The key factor that distinguishes them is the number of movements per minute and the ratio between the amplitude and the frequency of the fibers. The most common electric toothbrush works at a speed between 2,000 and 10,000 movements per minute. The brush head moves up and down, or left and right round. 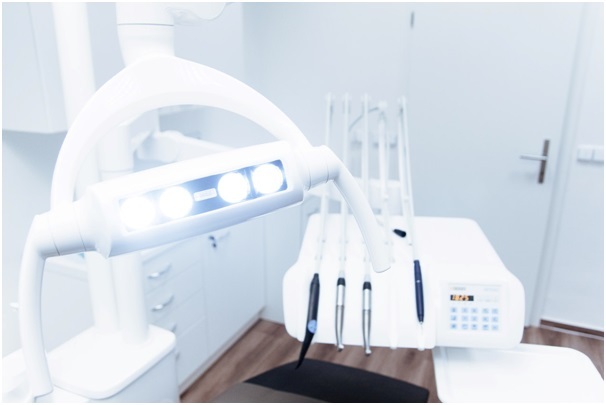 For effective cleaning, they require direct pressure on the surface of the teeth, which leads to an increased risk of damage to the eyes and periodontal tissues - gums. A sonic brush for moving the head instead of an electric motor has an electromagnet, thanks to which it combines a large amplitude and a high frequency of the motion of fibers. They have a speed of 15,000 - 40,000 movements per minute. Because of the favorable relationship between the amplitude and the frequency, the fibers are able to run a mixture of saliva, water and toothpaste in the mouth, and thus break down the structure of the biofilm. The movement of this mixture of liquids reorganizes bacteria in the plaque in difficult places, for example in wisdom, between teeth and gums, and partly in the interdental space. Because of this, fibers do not have to touch their teeth in all areas in order to do their job efficiently. In ultrasonic toothbrushes, movements are expressed in millions. Due to the built-in ultrasonic element, it creates a high frequency of movement, which the human ear does not hear, breaks the bacterial structure, without the need to physically touch the surface of the teeth.